Are Military Divorces Different than Civilian Divorces in Georgia? Military couples face some unique challenges. Beyond the standard pressures that come with any relationship, the lifestyle can be hard on some couples. According to data cited by Military.com, approximately 21,000 military couples get divorced each year. In many ways, a divorce involving a member of the armed forces is similar to any ordinary civilian divorce. However, there are also a few important differences. In this article, our experienced Atlanta divorce attorneys highlight three key differences between military divorces and civilian divorces. The United States government does not want military members to worry about their divorce case while they are on active duty deployment. Under a federal law known as the Servicemembers Civil Relief Act (SCRA), active duty military members receive a number of legal protections. Among other things, military members are able to postpone most civil judicial proceedings, including divorce cases, until the end of their deployment. A divorce hearing will typically be postponed until an active duty military member can return home and has a reasonable opportunity to deal with the issue. Of course, this does not mean that a military member can prevent their spouse from seeking a divorce — they simply have the right to postpone hearings when they are unable to attend. To be eligible to file for divorce in Georgia, a person must meet the state’s residency requirements. If you or your spouse is a resident of Georgia (for at least six months) you have the right to file for divorce in this state. Military members who are not residents of Georgia but who are being stationed at a base in the state — and who have been at the base for at least one year — have the right to file for divorce here. Similar to any civilian divorce, property division can be a contentious issue. It is also a little bit more complicated for military members. This is because, in certain cases, military benefits are subject to distribution in a divorce. 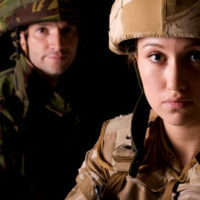 Under a federal law known as the Uniformed Services Former Spouses’ Protection Act (USFSPA), a military spouse may be entitled to a portion of their partner’s military benefits. Specifically, a spouse may have a right to claim their fair share of retirement benefits, medical coverage, and other military benefits in they meet certain criteria. Dealing with military benefits in a divorce can be an especially complex issue. If you are getting divorced and you have questions or concerns about military benefits, you should speak to an experienced Atlanta divorce attorney who can protect your rights. 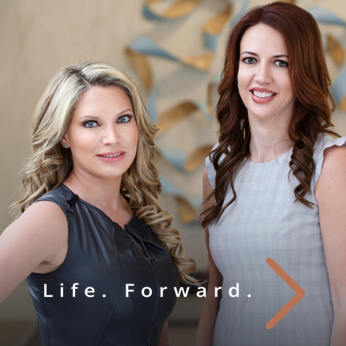 At Buckhead Family Law, our experienced Georgia divorce lawyers have the skills and experience to handle military divorce cases. For a fully confidential consultation, please contact our law firm at (404) 600-1403. With an office in Atlanta, we serve communities throughout the region, including in Fulton County, DeKalb County, and Cobb County.